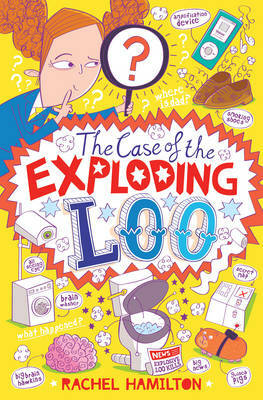 Quirky twelve-year-old Noelle Hawkins may be the brightest student in her class, but even she is completely miffed to explain how her dad, wacky scientist Brian, "Big Brain" Hawkins, spontaneously combusted while sitting in a portaloo. It's true that he was working on a new top secret Brain Ray machine and was on the point of a great break-through . . . could this have had something to do with it? Know-All is sure all is not as it seems. With the help of her grumpy sister, Holly, she is determined to find out what really happened to her dad! Brilliant book! Bought it for my grandchildren but read it myself first and couldn't stop laughing. They loved it too. We can't wait for the next one.